I'm not taking any chances. From now on, it's 3 of these a day. From what I understand, it's the caffeine that takes the calcium from the bones. And I drink a lot of caffeine. Lesson learned. I'm too old for crashes. Make sure it's calcium citrate, or your body won't absorb it. Or at least that's what I read somewhere. Wouldn't it be simpler to cut out the caffeine? Haha, yes I know that's crazy talk. So the caffeine goes for the calcium supplement instead of your bones? Like mater and anti-mater annihilating each other. Sounds like a good plan. so every coke gets a chaser, is that it? SBJ- I would have expected you to have all your facts before you posted the comment. You're good at that. Please report back. You have my attention. KK- cutting out the DC isn't really an option. Crazy talk indeed. Dug- yep. that's it. I realize this is adding more calories to my daily limit but I think it's worth it. 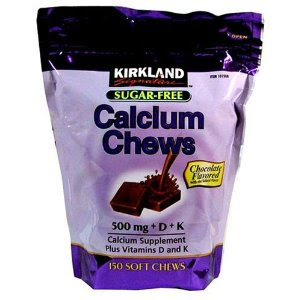 Seems there's conflicting data on bioavailability of various calcium forms. However, "You: The Owner's Manual" was my source for the recommendation to use calcium citrate. You also need to supplement with magnesium in order to facilitate the absorption of the calcium. I buy the Costco knockoff of Citracal with Mg and take two tablets daily, FWIW. I hear magical froots have calcium, I'm certain there are some 'companies' in the UC that can help. Calcium doesn't keep you from crashing. That's more of a balance issue, and if anything helps that, it's mixing some b vitamins with your caffeine. Time to upgrade to redbull! Bob- Love the snake oil image. Great stuff. Kyle- Does Red Bull come in 44oz fountain drinks? You Will Love Me. You Will Hate Me.